I still remember while I was in Malaysia, every nite during the weekends, surely I will plant myself in front of the tv to watch the so dubbed as the femes football league in the world, the EPL. But then, on 4th Oct…yahooo!!!! Finally I got the opportunity to watch the game, live…to feel the surrounding (which was cold..very very cold) here, in the English Land to watch the English League. 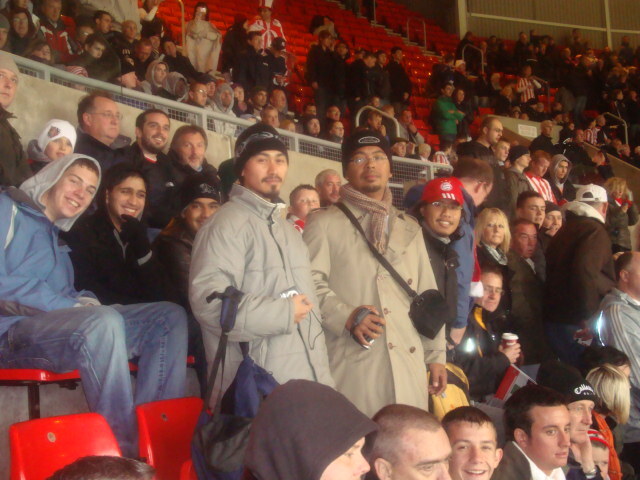 So the match that I watched was Sunderland against Arsenal, at the Stadium of Light. We (since the small convoy led by Abg Zul Hasan, Abg Amir, Abg Zul’s relative..x igt nama dahh and me) went there after the Zuhr prayer. 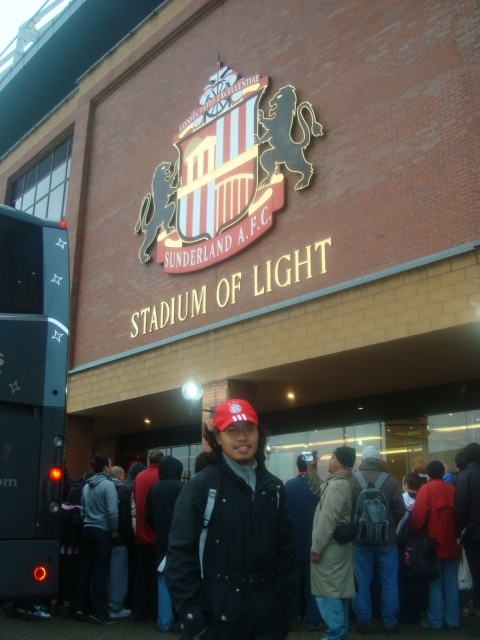 So, first time entering the stadium, fuiyyoo…quite nice and cute the condition in the Stadium of Light. From the roof seating (or corner seating) we can see the view very clear and satisfactory. So, the game went on smoothly, meanwhile abg Zul has been reminded not to record the game via his sophisticated video camera (since Malaysian is very well known with stubborness…he still recording the game secretly..hehehe). So, first half was 0-0. Then, second half begun and Sunderland scored the 1st goal!! !…Yahoo…Arsenal kalah!!!…bestnya.. But, the wiseman once said “good team will find their way in the end”…so did Arsenal as they managed to equalised in the dying minutes and the game ended 1-1. Overall, I was satisfied, since I can see the game clearly, and I must tell you that I got the Kolo Toure’s signature after the game. Hehehehe…best ooo….even though I`m not the Arsenal fan, but to have his signature is a great feeling. So, what is my sacrifice for the game? I can’t celebrate when Arsenal scored since I am in the middle of Sunderland aka The Black Cat supporters. 28 pounds…gone after 90 minutes (plus 4minutes additional time).